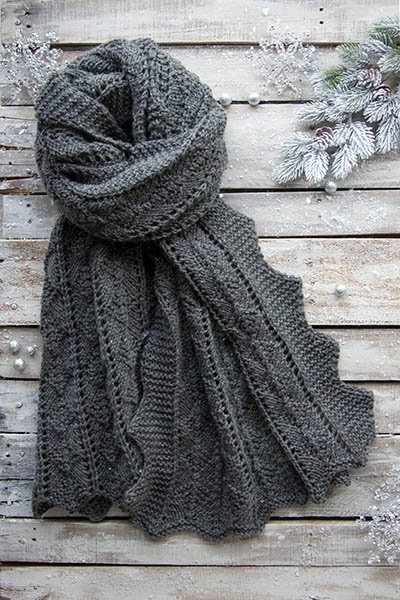 This generously sized stole functions perfectly as a scarf, too. Knit in one piece, the sawtoothed garter stitch edging is worked at the same time as the stole body. The points of the edging also make it easy to run blocking wires through in the finishing process.